The father of the newly qualified nurse told an inquest that she said it was “really tough” to see children die in the brutal 2017 Manchester Arena terror attack. Nurse Clara Malagon was found hanged in her Manchester apartment in 2017, just seven weeks after the devastating tragedy, an ongoing inquest heard on Monday. The 22-year-old newly-qualified nurse was on-duty as victims of the terror attack were rushed to hospital for emergency treatment, and the coroner's report concluded her death was indeed a suicide. The young nurse also told her father that she saw kids “with their faces blown away”, emphasizing the barbarity of the bombing. Moreover, Gill Aitken, a general practitioner, told the hearing that Clara had been suffering from depression since 2016 and reported that she was down in the weeks following the incident. “Dad, I need help,” the young nurse told her father. 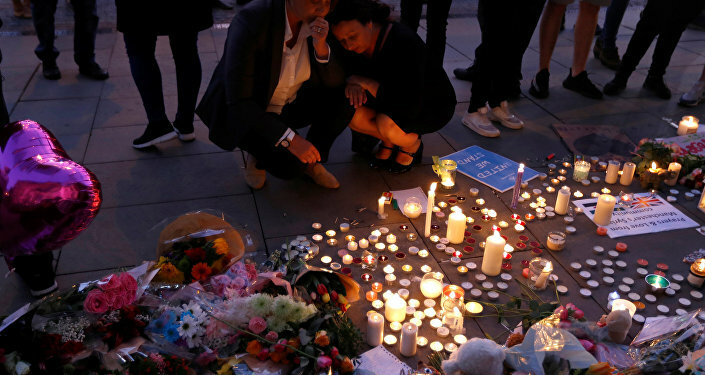 On May 22, Islamic terrorist Salman Abedi detonated an explosive device packed with makeshift shrapnel in the foyer of Manchester Arena during an Ariana Grande concert, resulting in 22 deaths and dozens of injuries, with many children among the victims. The bombing is the deadliest attack to hit the UK since the 7/7 bombings in London back in 2005, and investigators ultimately determined Abedi had acted alone despite initially suspecting him of being part of a wider terror cell with ties to Daesh*.